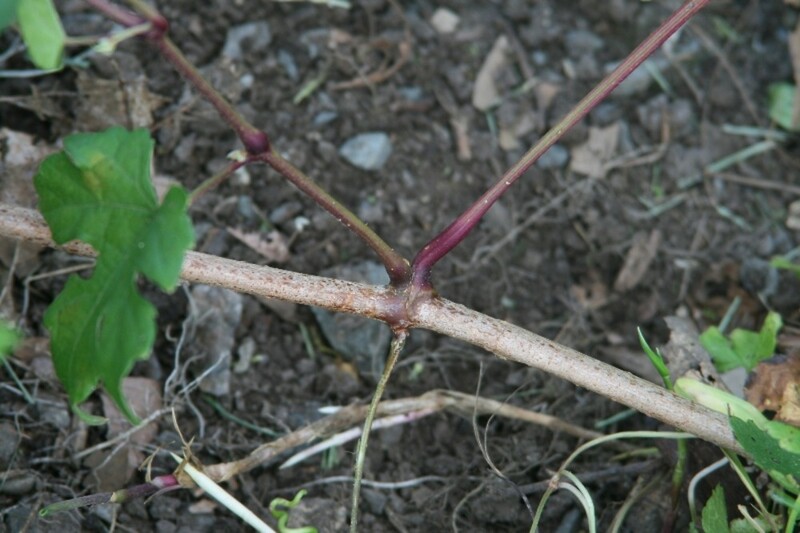 Amur peppervine is also known as porcelain-berry for its almost irridescent pink-purple-azure berries. 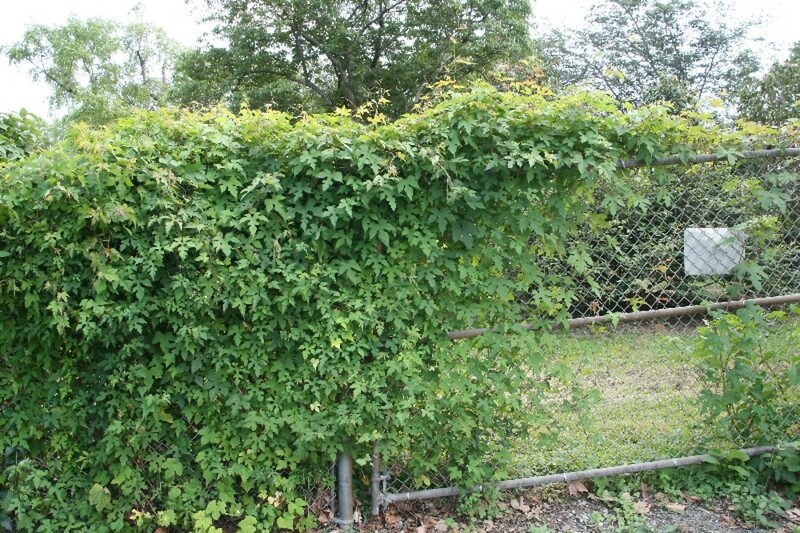 Widely planted as an ornamental, this fast-growing liana is now considered highly invasive in the forest edges, lake shores, and disturbed habitats in which it rapidly spreads. 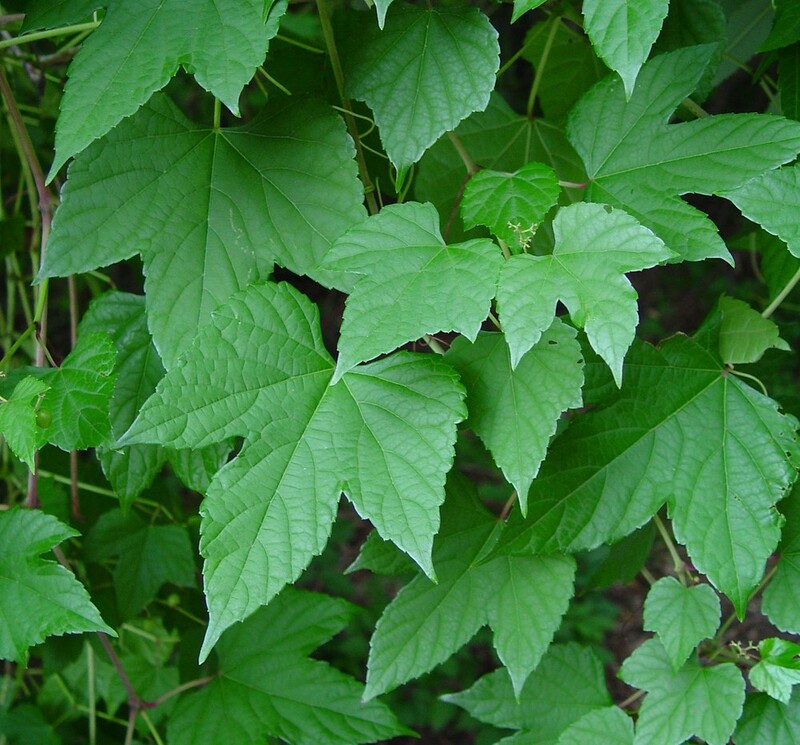 Its leaves are variable but often highly lobed, unlike those of its congener, A. cordata. 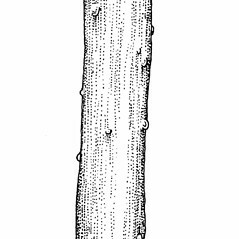 leaf blades toothed to obscurely lobed and branchlets glabrous (vs. A. glandulosa, with leaf blades toothed to lobed, at least some on the plant with 3-5 evident lobes, and branchlets pubescent at least when young). 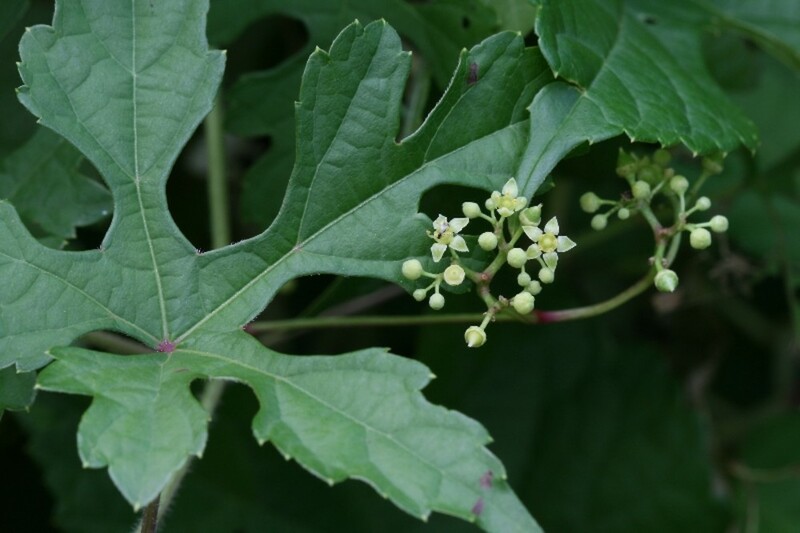 Ampelopsis heterophylla (Thunb.) Sieb. & Zucc. var. 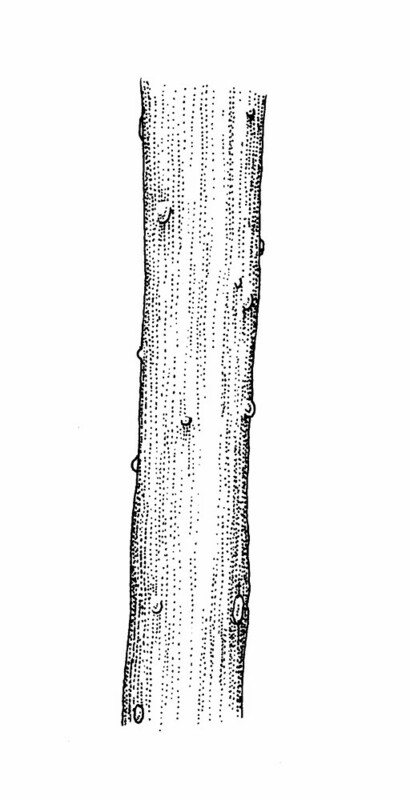 amurensis Planch. 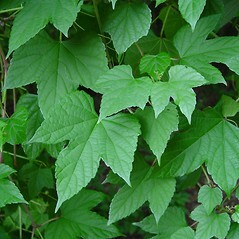 Our variety is Ampelopsis glandulosa (Wallich) Momiy. var. brevipedunculata (Maxim.) Momiy. 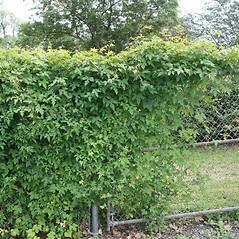 Amur peppervine. 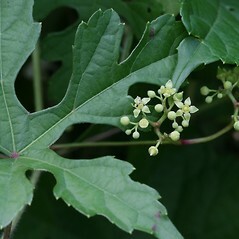 Ampelopsis brevipedunculata (Maxim.) Trautv. 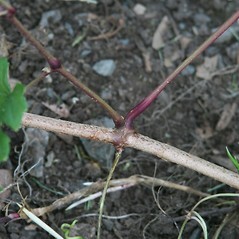 ; A. heterophylla (Thunb.) Sieb. & Zucc. var. amurensis Planch. 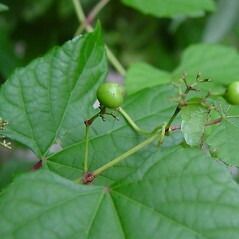 ; Ampelopsis heterophylla (Thunb.) Sieb. & Zucc. var. brevipedunculata C.L. 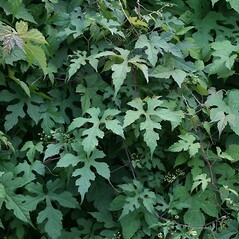 Li; Cissus brevipedunculata Maxim. 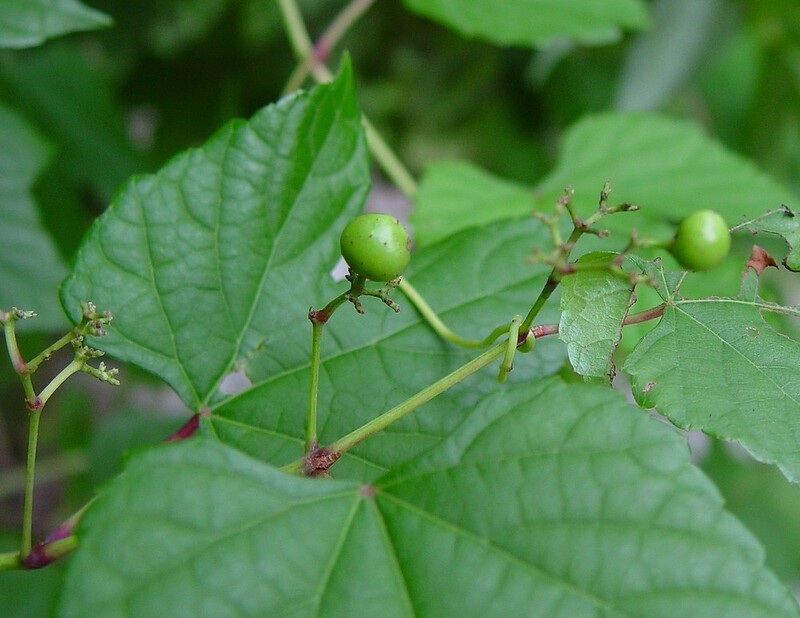 ; Vitis brevipedunculata (Maxim.) Dippel. • CT, MA, NH, RI. 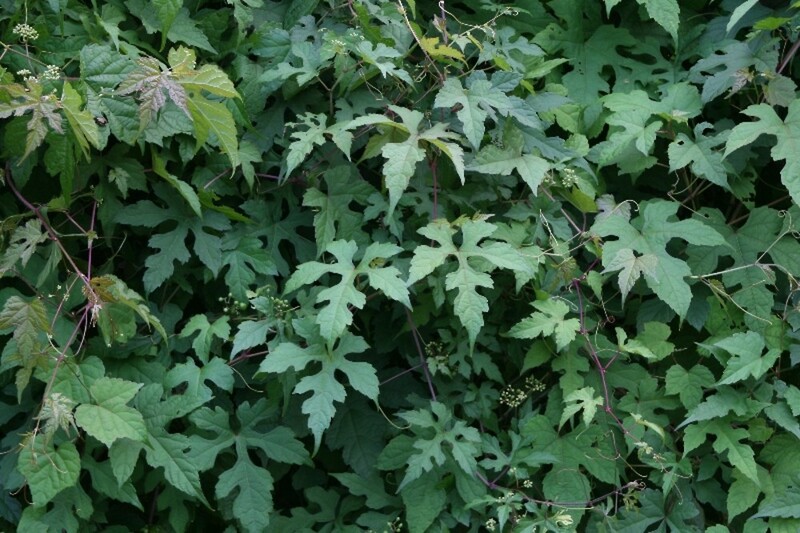 Roadsides, waste areas, forest fragments, pond shores, upper edge of tidal marshes.